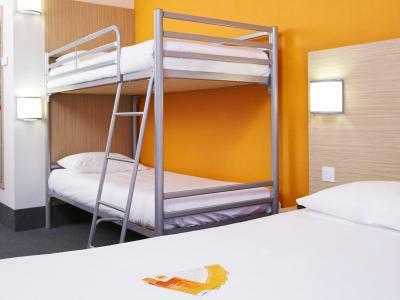 Very comfortable bed and very quiet rooms. Close to airport which is what we wanted. 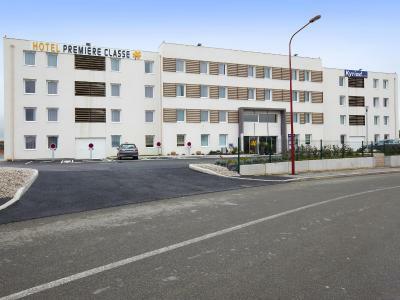 Great location close to Charles de Gaulle, very convenient to catch a flight. Friendly staff, private parking lot. A great price compared to other nearby options. Simple and very clean for a low price. 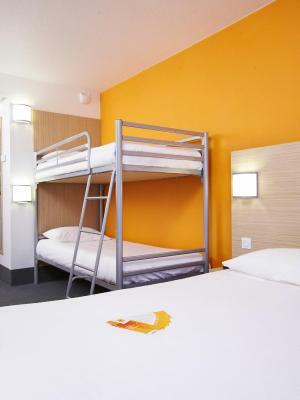 Perfectly suitable for a night stay on route to home. Simple and cheap restaurant right across the street, still opened when we arrived late after 21:00. 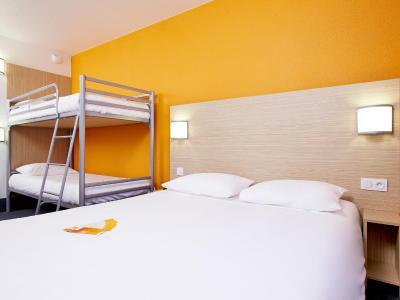 Close to airport and basic restaurants. Great attention. No bad smells or noise in the property. Cheap. 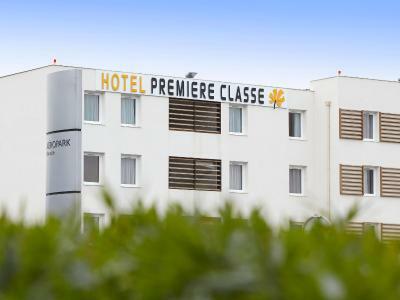 If you are all day out, its OK to stay here, this in case only if you have to go somewhere close to this location, in my case i was attending to a trade show at Villpente at the parc des expositions. Beds and linings are clean and OK. If you book early you will get a fair price. Some Chain Restaurants are around (French of course), the Hippopotamus Grill is OK, and not to expensive, just infront of the Hotel. 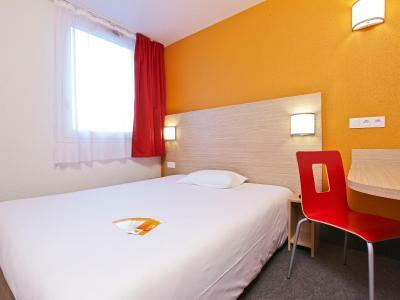 The location is good and nearby excellent restaurants. The shower was nice, bed was just okay. Finding the place was easy enough. Mostly it was just okay for a short stay. 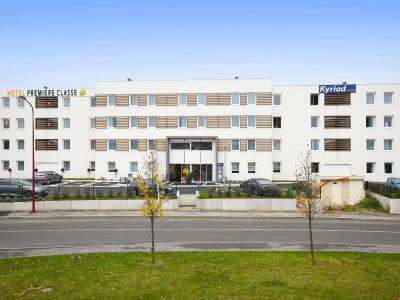 This eco-friendly hotel is just a 12-minute drive from Parc des Expositions Paris Nord Villepinte Exhibition Center and 5.3 mi from Charles de Gaulle Airport. Le Bourget Airport is 5.6 mi away. 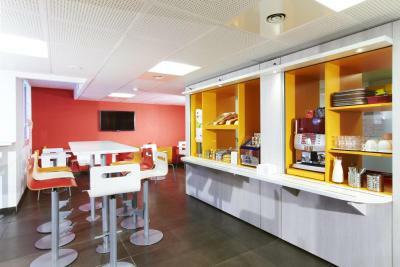 The reception is open 24/7 and free WiFi is available throughout the property. 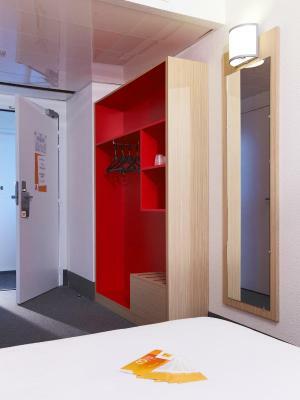 The simply decorated rooms are all accessible by elevator and rooms for guests with reduced mobility are available. 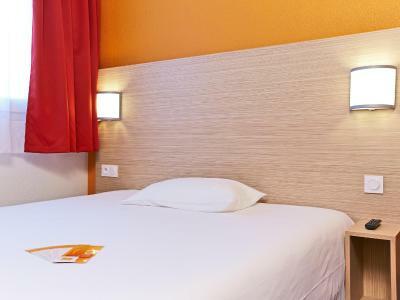 Each room features a TV with satellite channels and the rooms are equipped with a private bathroom with shower. 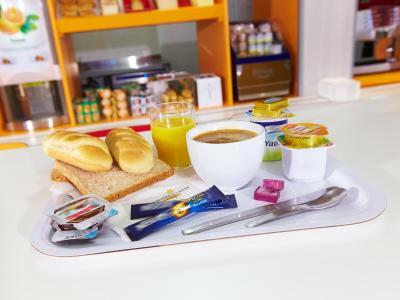 A buffet breakfast is served daily at Premiere Classe Paris Nord – Parc des Expositions. 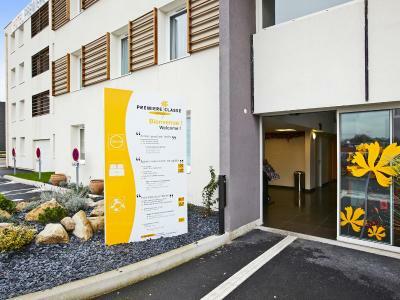 Additional services include a 24-hour front desk and staff can arrange a taxi ride to the airport on request, at an extra cost. 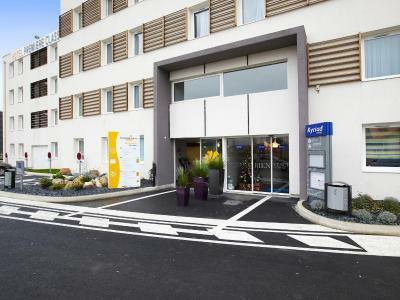 Free private parking is provided at the hotel. 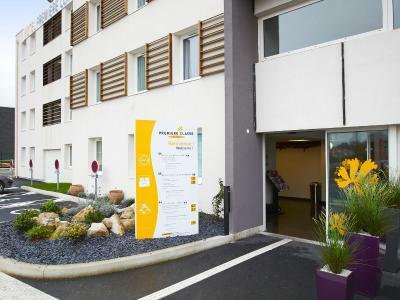 The A1 motorway is 2.9 mi away and activities in the area include visiting the Castle of Ecouen, a 15-minute drive away. 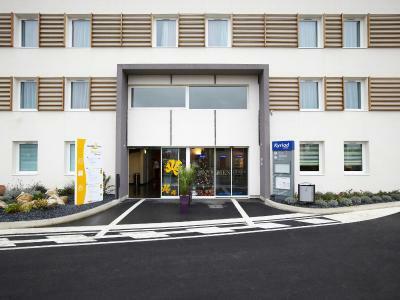 Disneyland is a 30-minute drive from the property and Parc Asterix Amusement Park is 20 minutes’ away by car. 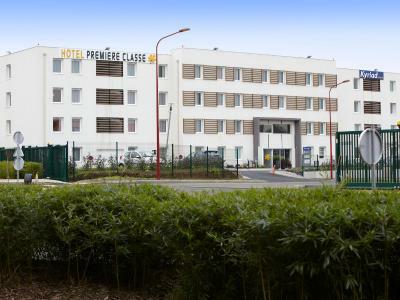 When would you like to stay at Premiere Classe Paris Nord - Gonesse - Parc des Expositions? 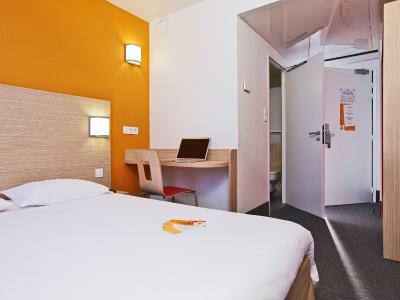 Free Wi-Fi access and a flat-screen TV with satellite channels are provided in this room. 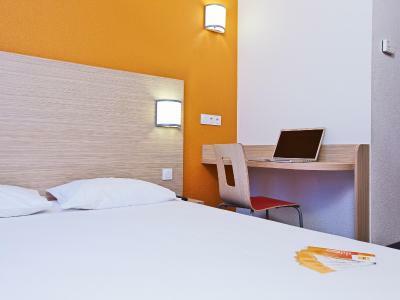 Free Wi-Fi access and a flat-screen TV with satellite channels are provided in this room with a private bathroom. 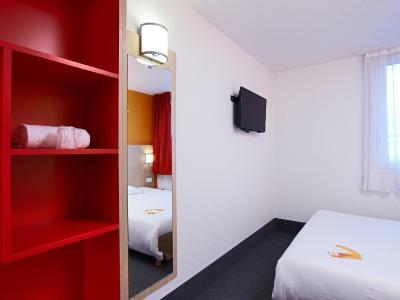 Air-conditioned room with a flat-screen TV and a bathroom. 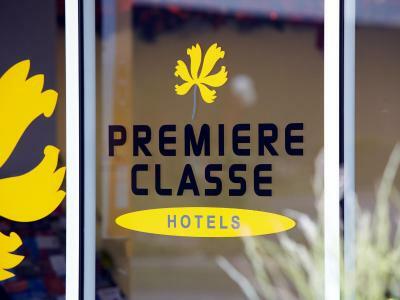 With Premiere Classe hotels, no compromise with your comfort! 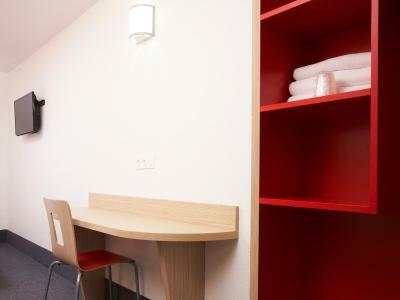 All rooms have been designed to combine comfort and functionality. 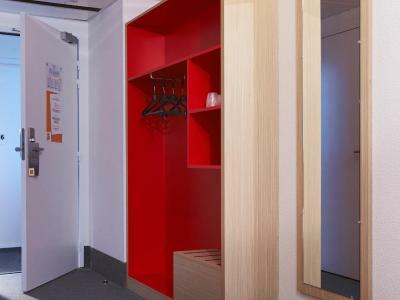 Since we believe your intimacy is essential, all rooms are equipped with a private shower and toilet. 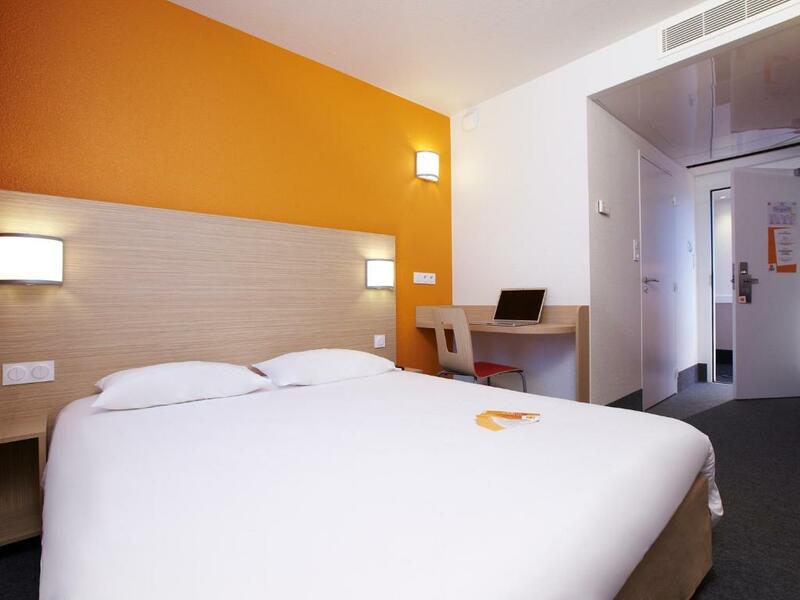 Double bed, twin beds, single bunk bed in some rooms, Première Classe hotels can adapt to all your needs. 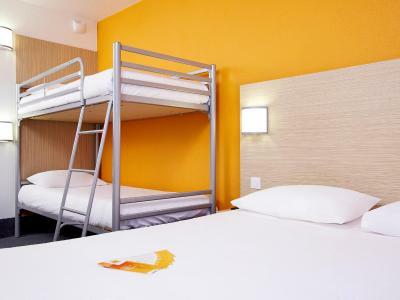 A single price: whether you are 1, 2 or 3 people sharing the room, it will not cost you more. 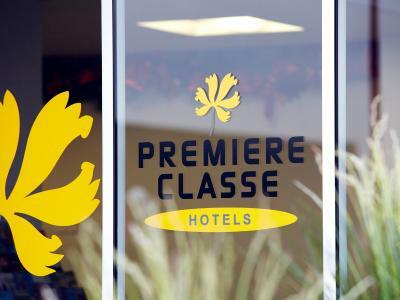 In our Première Classe hotels, start your day on the right foot by enjoying a varied, balanced, all-you-can-eat buffet breakfast serving up major brand products. 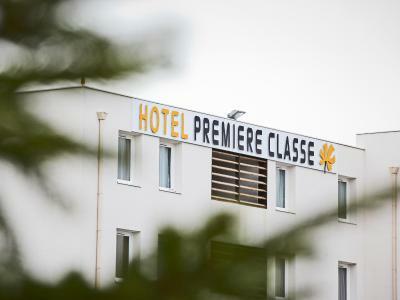 In Première Classe hotels, the Wifi connection is free*. Check your emails, work online, chat with your family in total peace and quiet, because we know it is vital to stay in touch! 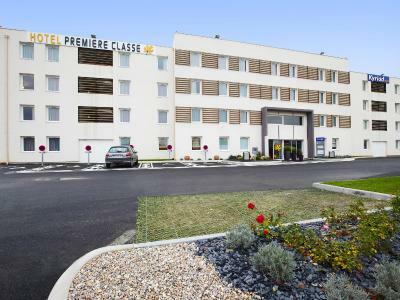 With 260 hotels in Europe, Première Classe hotels offer you the essential for a good stay! 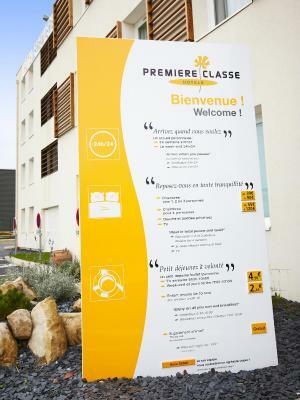 House Rules Premiere Classe Paris Nord - Gonesse - Parc des Expositions takes special requests – add in the next step! 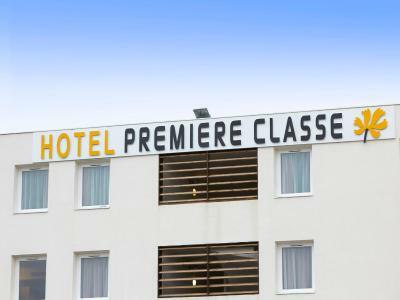 Premiere Classe Paris Nord - Gonesse - Parc des Expositions accepts these cards and reserves the right to temporarily hold an amount prior to arrival. 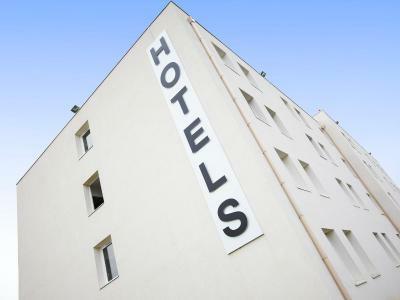 Please inquire at the hotel for information regarding transport. My first room I was designated had a sewage smell all through it. Requested to change rooms and they kindly accepted and gave me a better room. Unfortunately though, The staff were rude and unhelpful apart from one whose name is Kevin. The breakfast is overpriced simply because it’s not a breakfast, there was hardly any food there. Croissants were small and dry, the coffee was awful. The receptionist never answered the phone. The only good thing was they booked my cab on time when I needed it. Prices increased too much since my last stay. The bathroom state was uncomfortable. 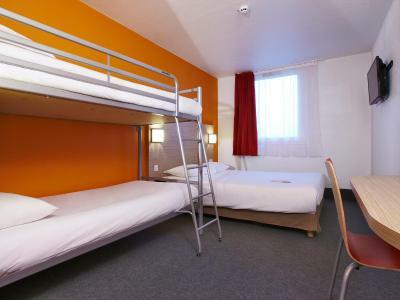 You do get what you pay for but was fine for a one night stop just to sleep. Room was very noisy. Window didn't block the noise from the street hotel gate was closed after 9pm, and every time it was opened for a car to enter, it made too much noise. Bath floor matts are missing, i had to use towels instead to step on after showering. Breakfast was very basic. No shuttle to the exhibition halls. It is difficult to get a taxi during exhibitions. Good location. Very nice and friendly personnel. 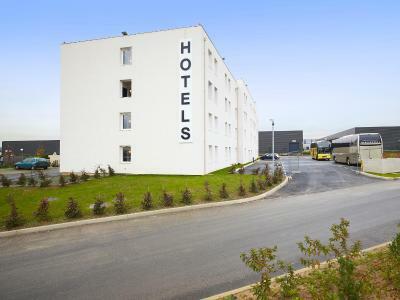 When I booked this place I was told there was a shuttle to and from the airport and it was close to the Airport. There was not a shuttle. 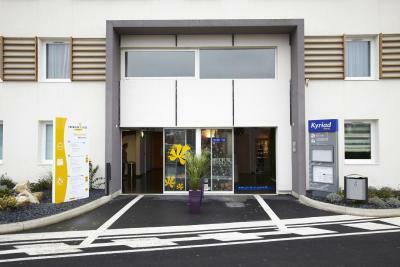 When we arrived at the airport and called the hotel, they said we could take a taxi for 50 Euros or a bus for 2 Euros. When we found the bus they told us to use, the bus driver said it was the wrong bus. He did call the hotel for us and then decided it was the correct bus. We had to stand on the bus with all our luggage for a 30 minute bus ride. The hotel was not close to the airport. When we got to our bus stop the bus driver was kind enough to get off the bus to show us where to walk to. We went to the spot he told us, but we could not see the hotel. 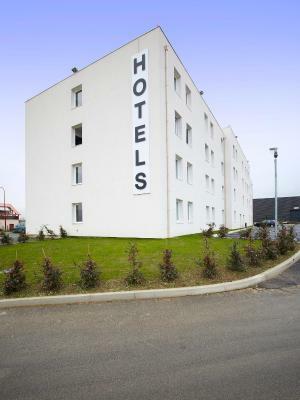 It turns out that the building is two hotels in one and the only name visible was the other hotel. When we finally figured this out and went to check in, the staff were very nice and efficient. We did not like the room at all. We did not get much sleep that night. We took a cab back to the airport the next morning. 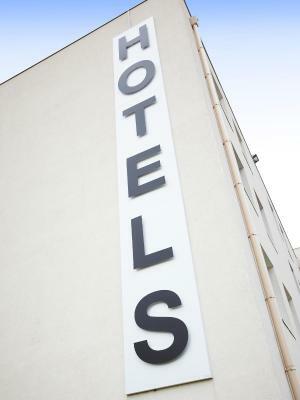 This is the third time Booking.com has steered us wrong. We will not be booking with them again. Breakfast was a bit poor.